If you are dedicated and serious about healing leaky gut and autoimmune disease, I need you to know about a recent study that IDs seven food additives that trigger leaky gut, or at the very least contribute to the condition. So what, exactly, is leaky gut? Known in the medical literature for more than a 100 years as “intestinal permeability,” in my opinion, many modern doctors don’t know how to ID and treat leaky gut. That’s a shame because it’s believed to be at the root of which is at the root of many diseases. Signs and symptoms you have leaky gut include inflammation, joint pain, inflammatory skin disorders and rashes, food allergies and sensitivities and all sorts of other health problems. Basically, leaky gut results and autoimmune diseases arise when the tight junctions that protect the intestinal mucosa are damaged. This allows bacteria, toxins, allergens and carcinogens that normally protect the gut and immune system to leaky through and set off autoimmune diseases. Processed foods may seem like a cheap and easy fix, especially when you’re pressed for time. But mounting research shows some of the most common additives we often overlook on ingredients lists could be unleashing digestive distress and beyond. As it turns out, these food additives impact the intestines in a way that promotes the development of autoimmune disease symptoms. So if you’re dealing with inflammatory disease, skin issues, brain fog or many other autoimmune disease issues, it’s time to make focusing on processed food ingredients part of your action plan. In the study, the research team examined the effects of industrial food additives used in processed food. 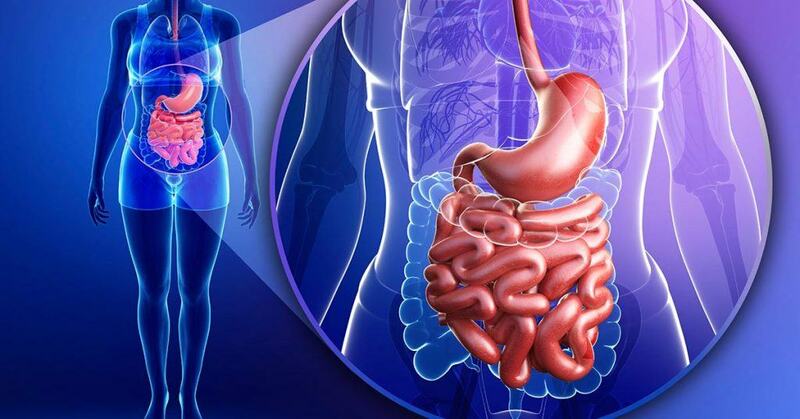 Specifically, they wanted to see how these ingredients impacted the intestines and on the development of autoimmune diseases — conditions in which the body attacks and damages its own tissues. These food additives are added to processed foods and drinks to improve taste, smell, texture and shelf life. It’s also approved for use as an enzymatic binder to form smaller cuts of meat and poultry into a larger serving of meat. (This even includes some steaks.) Derived from fermented bacteria, a non-pathogenic strain of the organism Streptoverticillium mobaraense, it’s considered safe by the Food and Drug Administration, although other studies would suggest otherwise. It was only approved for use in 1998, so it’s a relatively young food additive. Thankfully, this food additive that triggers leaky gut is not exempt from labeling, although it is sometimes called TG enzyme. If you eat meat, I always suggests finding a local organic, pasture-raised operation to support. Form a relationship and ask if any food additives are added to the meat. Glucose was found to increase gut permeability and produce changes in distribution of the main protein of the tight junction in the human cell line Caco-2, indicating intercellular leakage. Americans increased use of sugars results in higher levels of advanced glycation end products (AGEs). Once formed, AGEs increase inflammation, which can further exacerbate leaky gut. (6) We now know the sugar industry scandal that involved tricking people into thinking sugar was healthier than fat. This demonized natural, healthy fats and increased sugar in processed foods. As always, use my tricks to kick sugar addiction and drastically cut back on sugar and you’ll be much healthier in the end. A high-salt diet does more than affect your heart. Turns out, it’s also blamed for loosening up those tight junctions that keep your gut function strong and health. Interestingly, a high-salt diet could be behind a spike in autoimmune diseases. Excess salt can actually impact your innate immune system, causing macrophage dysfunction. We need some salt to live, but in general, Americans are getting way too much. Researchers of the food additives that trigger leaky gut study also say gluten is a no-no. They noticed increased gut permeability when immune cells are exposed to gliadin. (Gliadin is a class of proteins in wheat and are a component of gluten. It helps give bread the ability to rise during baking.) (12) Gluten often hides out in unexpected places, including sauces and gravies, where wheat flour is used as a thickening agent. And please note that even organic wheat contains gluten. Use of nanoparticles in food and food packaging is skyrocketing in America. Nanotechnology encompasses taking a material and unnaturally making it tiny, with dimensions between 1 and 100 nm. But at these dimensions, the materials may take on unusual physical, chemical and biological properties and functions that are remarkably different from those the original size of the compound, the study authors explain. They can behave in unexpected ways once inside human cells. But these nanoparticles are also linked to DNA and cell damage. Titanium dioxide is the most common nanoparticle in food. Manufacturers use it most often to make things like powdered donuts and salad dressings bright white. It also makes gummy bears opaque and enhances colors. (15) We don’t really know what the long-term impacts of eating nanoparticles are, so I avoid them at all costs. Prebiotics and Probiotics — While the benefits of probiotics are well-noted, prebiotics, non-digestible fiber compounds, are still largely underappreciated and underconsumed in America. Studies show they help promote a healthy gut and actually help heal leaky gut in those suffering from atopic dermatitis. (20) Raw dandelion greens, garlic, onions and leeks are great prebiotic sources. This study serves as another reminder that we can greatly improve our health if we focus on cooking from scratch more and relying less on processed foods. Many food additives have never been tested for long-term impact on human health. Who wants to be part of that experiment? Not me. And I hope not you, either. While we can all read labels and avoid these food additives that trigger leaky gut, it’s very clear we need stronger leadership in Congress and in federal agencies who will actually mandate food safety laws that actually protect Americans. Part of a healing leaky gut program must include a plan to avoid processed foods and food additives that trigger leaky gut.